The base is a round sponge and the tower is made from a Swiss roll and mini roll. The turret is fondant icing. The ‘brickwork’ is indented using a sharp knife and ivy made using an ivy cutter. I wanted my Rapunzel to be a ‘damsel in distress’ and so gave her the hat. 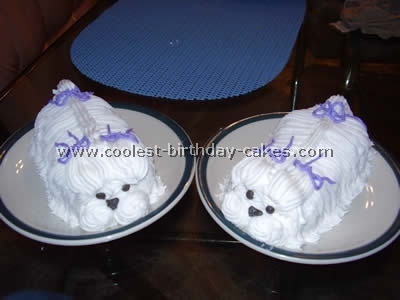 One can bake the cakes with your best cake recipe but I found it much easier just using ready made cakes. This cake was for my daughter’s 6th birthday. 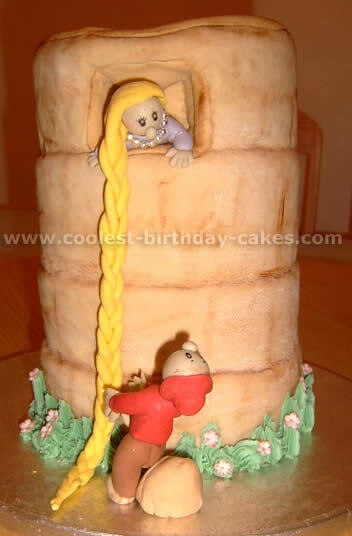 She wanted a Rapunzel cake, as I had already made her one of those Barbie doll cakes, I was really scratching my head over this one. 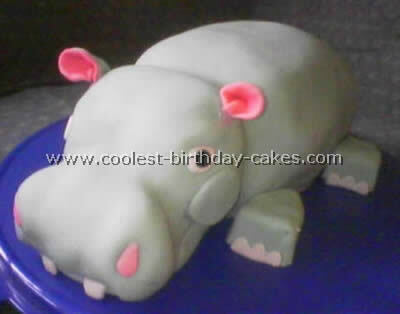 But I came up with one of the best cake recipe ideas and it was pretty easy to make. For the tower: All you need to bake are 3 small round cakes. Stick them one on top of the other with butter icing. Cut a relatively deep indentation in the top layer, for the window. Cover with plastic icing coloured a brownish colour, making sure you smooth the plastic icing carefully into the window (it might tear). Then I "painted" bricks on the wall of the tower using the dry tinter (brown). Colour butter icing green. Using a star nozzle I just piped some "grass" right around the bottom of the tower. I had some left over flowers that I had made for another cake and I placed it here and there on the grass. I had quite an obvious seam where the plastic icing joined so I used the green icing to make a vine going up along the seam, also placing some flowers on the vine. For the figures: colour some plastic icing flesh colour. Make ball shapes for the head and a tiny ball for the nose and colour in the eyes and mouth with a black felt tip pen. Make the clothes any colour you want. 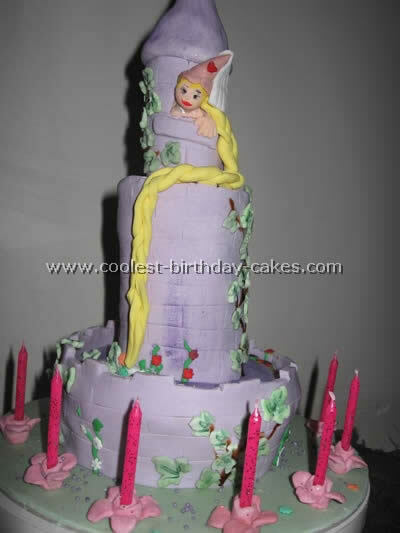 Make a long yellow braid for Rapunzel. The Prince was always falling over, so I made him lean against a rock. I used left over wall to make the rock. My daughter was quite impressed with result! I must admit, so was I!! !